I have to admit I've been perplexed in recent months. I look at the Oregon beer landscape and I see numerous breweries expanding their operations and planning to distribute in bottles and/or cans. I sometimes wonder if the market can support the kind of additional production involved. Amnesia Brewing, which has a home on N. Mississippi, is in the process of building a production facility in Washougal. The new place will triple their annual brewing capacity overnight (from 1,700 to 6,000 barrels), and will also house a pub and tasting room. They plan to bottle and can beer for distribution as soon as practical. 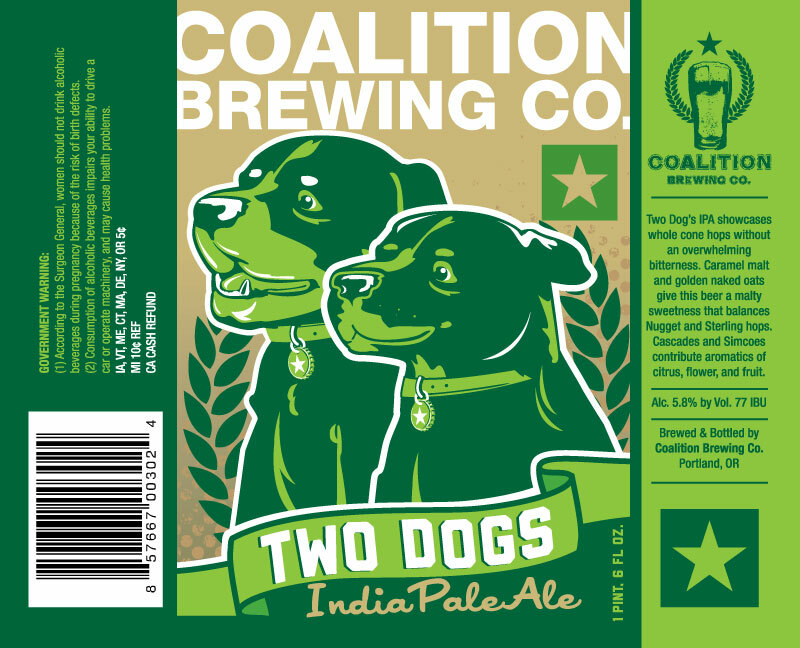 Coalition Brewing, located on SE Ankeny, will formally release its first bottled beers this week. The beers are Two Dogs IPA, King Kitty Red Ale and Roosters Cream Ale. All of these beers are favorites at the pub and will now be available in stores, bottleshops and select bars. Double Mountain Brewing in Hood River is expanding into the space next to its current operation and will include a bottling line. They expect to distribute bottles of their year-round beers (Kölsch, Vaporizer, IRA and Hop Lava) and possibly seasonals at some point. Expect to see these beers in bottleshops and finer grocery stores sometime next summer or early fall. Alameda Brewing, located on NE Fremont, has opened a production facility in southeast Portland and is expanding its bottle distribution in Oregon and Washington. 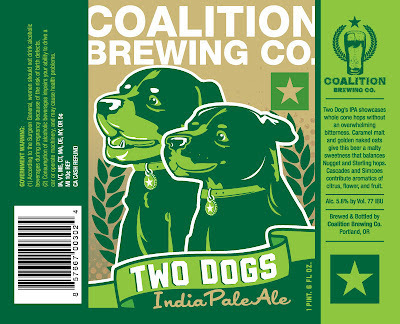 Their beers have been available at Fred Meyer and other stores for a few years. I suspect they will be even more visible now. These a just a few examples. Many other breweries are planning to pursue retail distribution. Breweries already in the retail game are doing what they can to improve their brand image. Lompoc, for example, is in the process of refining its labels. What's all the madness about? Aren't there enough craft beers available on store shelves? How much shelf space can they grow into? How much of this stuff will the market support? The answer is that sales of craft beers in US supermarkets increased by 15 percent in 2011, to nearly $1 billion. It was the sixth consecutive year of growth in the retail channel. Craft beer is the fastest growing alcohol/beverage segment in supermarkets. Convenience stores and drug stores, which saw solid growth in 2011, are tracked separately from supermarkets. Expansion into this channel is expected to be brisk for 2012. Numbers from the Brewers Association say craft beer reached a 10.8 share of the retail market last year. Please realize, this is a national figure. The share is probably 20-25 percent in Oregon, Washington and California. And closer to zero in places like Mississippi, where craft is struggling due to antiquated beer laws. As mentioned in my prior post, some of the growth numbers are off the hook. 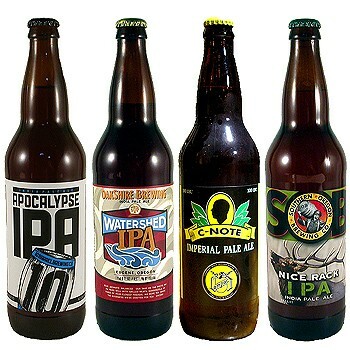 Sales of craft beer in 22 oz bombers grew by 35 percent in 2011. Canned craft beer sales were up 97 percent to 350,000 cases. These numbers show no signs of slowing down or collapsing. With all these numbers staring them in the face, it isn't surprising that brewers are positioning themselves for retail distribution. A large and growing pool of consumers is actively seeking craft beer in stores. Brewers are merely moving to take advantage of the opportunity. Is there a risk with so many brewers intent on entering the retail space? Sure there is. The flood of new bottles and cans could create too much competition for shelf space, squeezing some brands out. There's also a possibility that too many choices could drive prices down, impacting profit. But the game is clearly on...and escalating. You have to admit it's fun to watch as craft beers take shelf space away from the large brands. The craft revolution seems to be moving forward unabated.